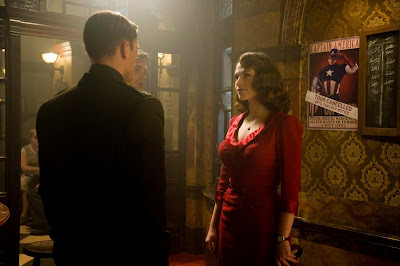 Of all the pre-Avengers phase one films in the Marvel Cinematic Universe, I am still so impressed by Captain America: The First Avenger every time I see it. Its aesthetic is stylish, its pacing a perfect flow thanks to a balanced blend of character development and fun to watch action. 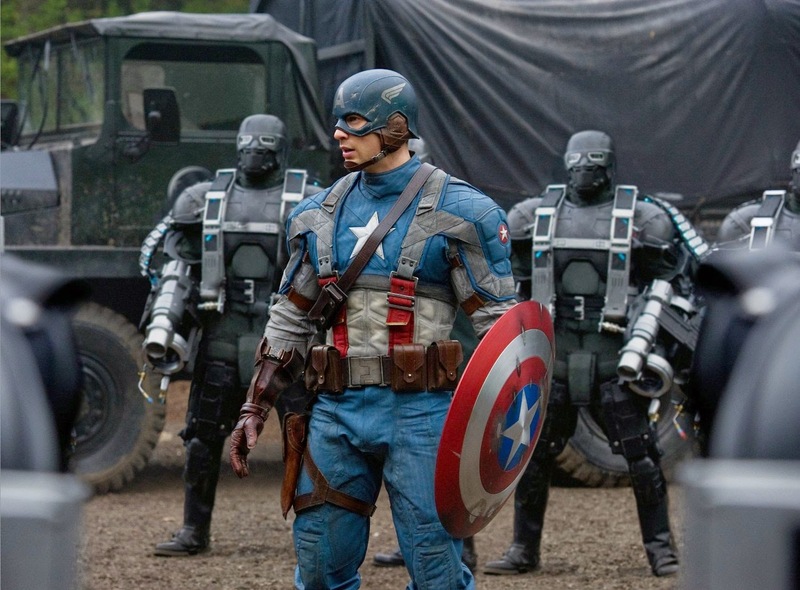 The World War II setting is such a unique and fascinating backdrop for a super hero origin story, and by combining a piece of real world history with a fictional unstoppable man with a shield, the lines between reality and the pages of a comic book are blurred enough to make me buy in. The story of Steve Rogers, a man who only transforms in body but has always had the heart and the bravery of a hero, is an easy one to become emotionally invested in and of the five solo films leading into the Avengers, Captain America: The First Avenger has always been my favorite. I am aware this means I am in the minority because I have come across a fair amount of unflattering discussion regarding this film, which surprises me. I try to see what others see because I feel the better I understand and appreciate differing opinions, the more I will learn about the medium as a whole, but not only do I not discover more flaws with each viewing of this movie, I end up liking it more and more. Where the film does miss the mark a tad is with its villain because frankly, the Red Skull isn't all that compelling, but until the Avengers came along and Loki absolutely stole the show this was a common thread between the five solo films leading into it. They simply could not present anything more than an adequate at best bad guy, which is a shame because I find that an impressive antagonist is usually what puts a superhero film over the top. This is mostly forgiven because of the strength of everything else though, especially the chemistry between Chris Evans in the lead and Hayley Atwell as Peggy Carter. Director Joe Johnston and the screenwriters really understand that ensuring the story and the characters that occupy it will resonate with the audience is far more vital than a constant onslaught of flashy special effects, loud noises and explosions. Don't get me wrong, Captain America: The First Avenger showcases all of those things at times, but it's the sincerity of the quiet moments that make it a winner for me. Thanks for reading Solitary, and yeah, I suggest you give a film like this a chance and see what you think. It's solid fun and very well made. If you want to see how the story continues for the supporting cast, check out the Agent Carter mini-series that just finished up. Worthy follow up for Sharon Carter's character, plus the Howling Commandos show up too and lots of other hints at the larger MCU. I watched the first couple of episodes and really enjoyed them, but it just fell victim to having too much to watch and not enough time to do so. I will gladly watch the rest on Hulu or Netflix when I get the chance though, for sure. Yep, up until The Winter Soldier this one was my favorite non-Avengers MCU film. Love the tone and like you said, the fact that it felt different than the previous films rather than just a constant continuation of sorts.